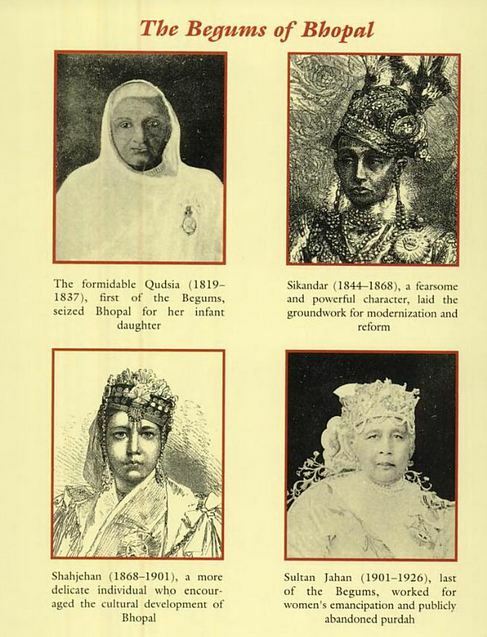 Between 1819 and 1926, Bhopal was ruled by an unbroken line of 4 women, the Nawab Begums of Bhopal. Bhopal had a distinctive culture with Turkish, Persian and Northern Indian Islamic influences. Bhopali dress consisted of a Turkish-style long and flowing kurta/tunic that flared in a circle from a tight fitting waist (known as the bhopali/turki/pishwas and akin to the anarkali) often bordered with gold and silver. The bottom half appears to be wide pantaloons, Peshawari paijamas or tight chudidars depending upon the decade. Perhaps the most distinctive part was the dupatta that measured about 5 meters and was draped across the body and over the shoulder. The Begum is a woman of about 50 years of age. Her thin face, lighted up by a pair of intelligent eyes, expresses such a singular amount of energy that one must be aware of it beforehand in order to realize that a woman is standing before you. The costume itself aids the illusion: tight fitting pantaloons, an embroidered jacket, and a poniard at the belt, have, as a whole, anything but a feminine appearance. Hamidullah Khan was the last Nawab of Bhopal. His eldest daughter, Abida Sultan, was the heiress apparent and ran the state until she moved to Pakistan. Here she is in a long sleeved soft blouse with collars typical of the 1910s/1920s. Though she was to later abandon this for shorter hair and often more masculine attire. 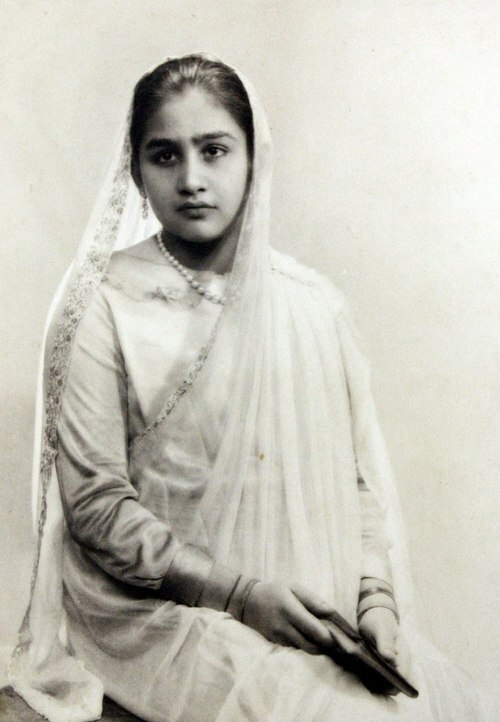 Post independence, her sister Sajida Sultan (in a modern context perhaps better known as Saif Ali Kahn’s grandmother:-)) was titular ruler of the state. This entry was posted in 19th century, 20th century, Islamic Dress, Royalty, Vintage Dress, Women and tagged Begum, Bhopal, Bhopali Dress, india, Nawab Begum, royalty, Vintage Costume, Women Rulers. Bookmark the permalink.